Vash the Stampede is a heinous criminal with a huge bounty on his head. Known as the “Human Typhoon,” he brings destruction wherever he goes. However, when two insurance agents finally meet him, they find out that Vash is not quite the villain so much as he is a light-hearted buffoon. For many, Trigun is a classic series and one of the first they might have ever watched. While the animation is a little dated and the story is better fleshed out in its source material, if you want the Wild West themes that Trigun excelled in to continue, consider these anime recommendations. The Great Kanto Desert is all the remains of Japan after the apocalypse. While barren and seemingly dead, many carve out a meager life here. One such person is the Desert Punk, a handyman with a legendary reputation for always finishing the job no matter what. While Trigun takes place on a different, but equally desert planet, Desert Punk happens post-apocalypse. However, what these series have in common is the main character. Despite a notable height difference, they are both goof balls that have a deadly series side. However, Vash is much more of a good guy. In the distant future, humanity has, for the most part, abandoned Earth and colonized several different planets in the solar system. In order to keep peace in the galaxy, the Inter Solar System police was established, but they often rely on aid for bounty hunters, referred to as “cowboys,” to bring criminals on the run to justice. 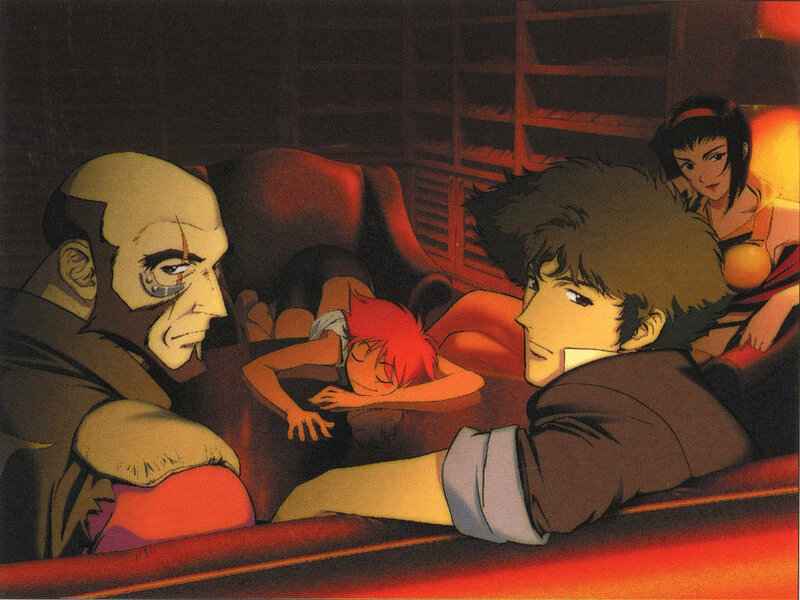 This is the story of Spike Spiegel and Jet Black, a pair of cowboys that end up with a rag-tag crew of other misfits as they travel the galaxy trying to keep food on the table and their own dark pasts at bay. These series go hand in hand not just because most people remember then airing back to back on whatever channel showed anime in their country, but because they share distinct western themes. While Vash is goofy and Spike is cool, both of these somewhat silly guys get badass when they get serious. 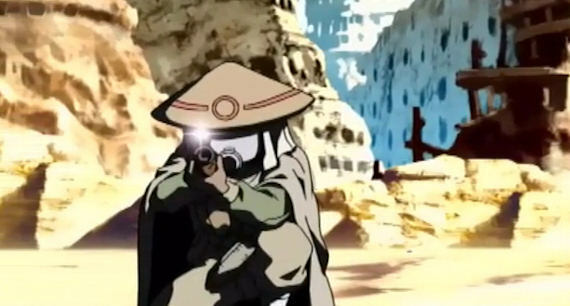 Both shows have various elements of space travel and great martial arts and gun play as well. Bounty hunter Nadie has her next target – an amnesiac and wanted suspect for murder, Ellis. However, even though she apprehends her, instead of taking her in, Nadie ends up protecting her as they travel south looking for a way to unlock her memories. El Cazador is a little more grounded by taking place in mostly Mexico, whereas Trigun keeps that distinct element of fantasy by being on another planet. However, they are both distinctively desert western shows and filled with a number of badass gunslinging characters as well as characters that aren’t quite normal. During more violent times, there was the tale of a legendary manslayer, the Battousai. However, this assassin suddenly disappeared at the beginning of the Meiji Era, but his legend is still well-known. 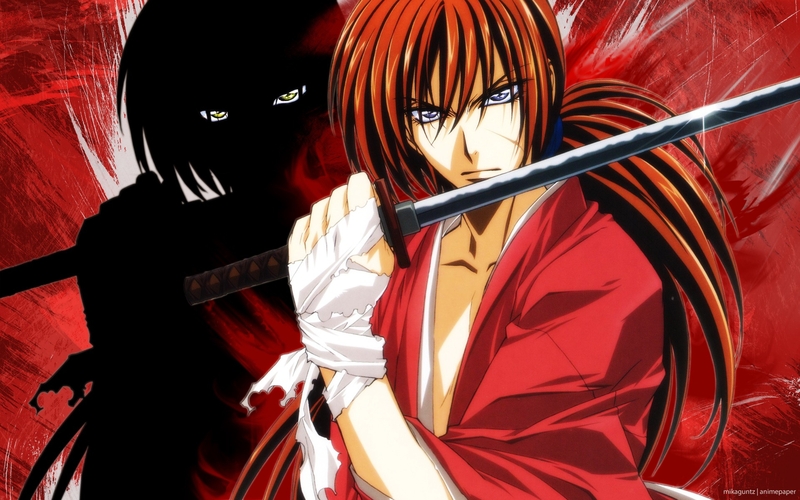 Ten years later, unbeknownst to the people, the Battousai has abandoned his blood-stained ways and began living as a wanderer known as Kenshin, a goofball and pacifist that has vowed to never kill again. After saving a sword dojo ran by a woman from an imposter posing as the Battousai, this wanderer stops his travel to temporarily stay. There is no denying that Vash and Kenshin are pretty similar. Both of them did bad things in the past, and now they live as silly care-free wanderers. 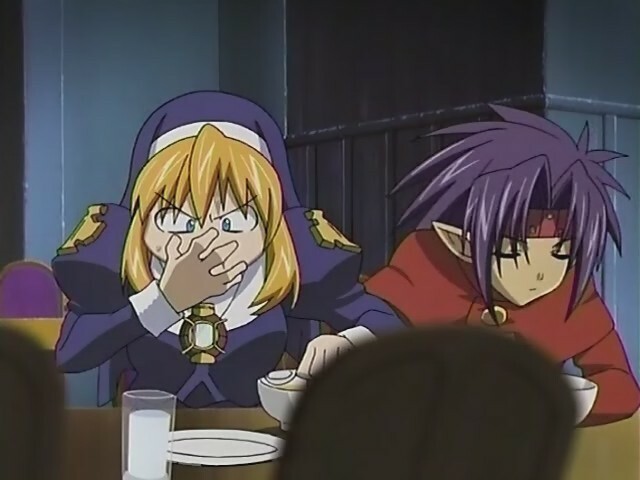 Of course, Kenshin meant to do all those bad things whereas for Vash it was less on purpose. Of course, in both things, the best remedy for a dark past is the tsundere-ish nagging of a good woman. After Armageddon, an endless war started between humans and vampires. In order to keep up with the chaos, the Vatican had to entrust some of its battles to outside allies. One such ally is Abel, a wandering priest and crusnik, a vampire that feeds on the blood of other vampires. Both shows are about blonde-haired seemingly goof balls whose silly behavior hides quite a bit of pain they had in the past. Interestingly enough, major plot points in both shows also deal with their older brothers that they hate and who are responsible for a fair bit of that past pain. 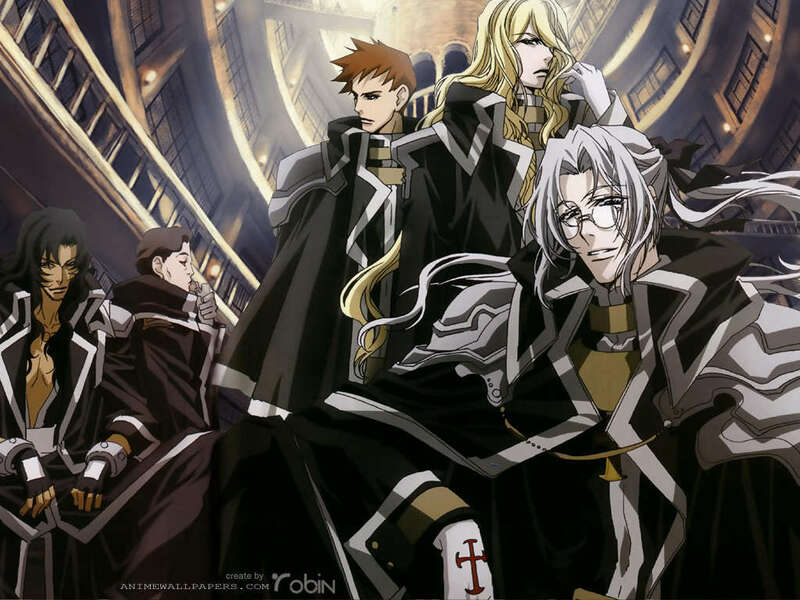 Of course, Trinity Blood is about vampires, but they are at least from the era where vampires were still cool. After the moon is mysteriously turned into a permanent crescent by an unknown calamity, the students of class 3-E at Kunogigaoka Middle School are presented with a daunting task: assassinate the creature that blew up half the moon before the year’s end or die when the world is destroyed. The creature in question, dubbed Koro-sensei by his class is super fast, super strong, and by all respects, indestructible. However, while the students try and learn how to destroy him, they also learn that he is the best teacher that they have ever had. There are a lot of differences here because Assassination Classroom is more school life and modern. 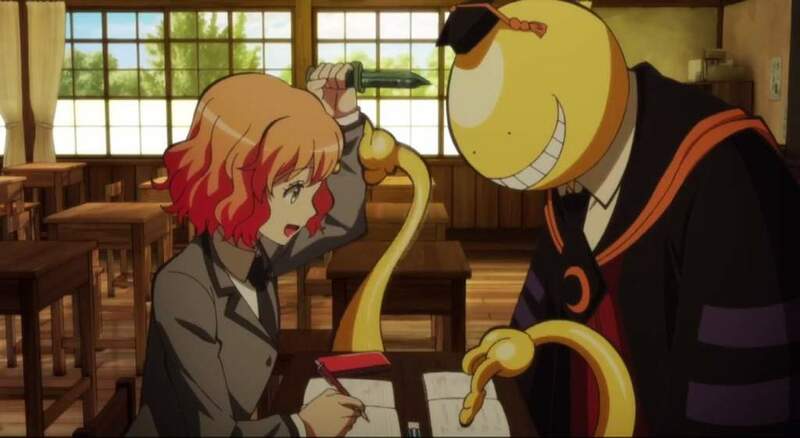 However, the similarity is between Koro-Sensei and Vash, since they are both distinctly silly on the outside, but absolutely murderous when someone they care about is threatened. Both of them also have dark pasts that get explained later. However, while there is plenty of gun play in both, often the weapons are very fake in Assassination Classroom. After being betrayed and left for dead, martial arts master Kenshiro now wanders the post-apocalyptic world looking for his rival Shin, the man that kidnapped his fiancé. In Trigun, the drama is between Vash and Knives, brothers and some of the last of their specific kind of breed. 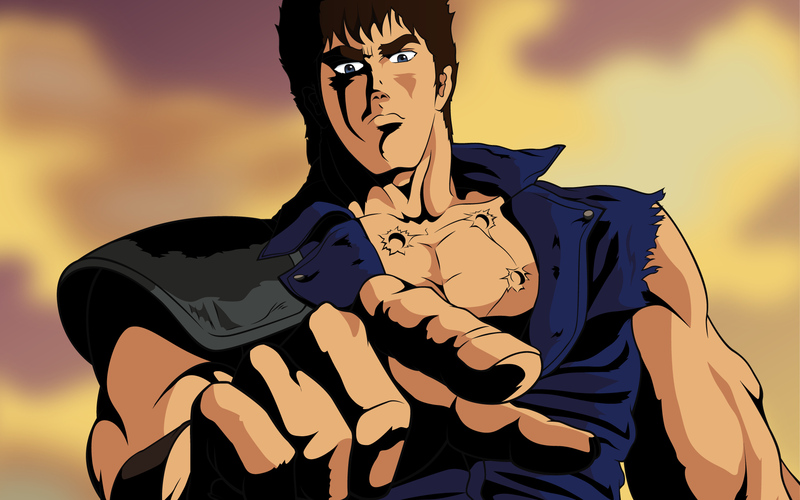 In Fist of the North Star, often the plot centers around Kenshiro’s conflict with his three other adopted brothers from his martial arts school. While Fist of the North Star has less guns and more exploding heads, like Trigun, it also takes place in a dusty apocalyptic wasteland. There is a battle about to begin in Tokyo, the Shaman Fight. This tournament is held every 500 years where shaman, those who command spirits, test their skills in combat. 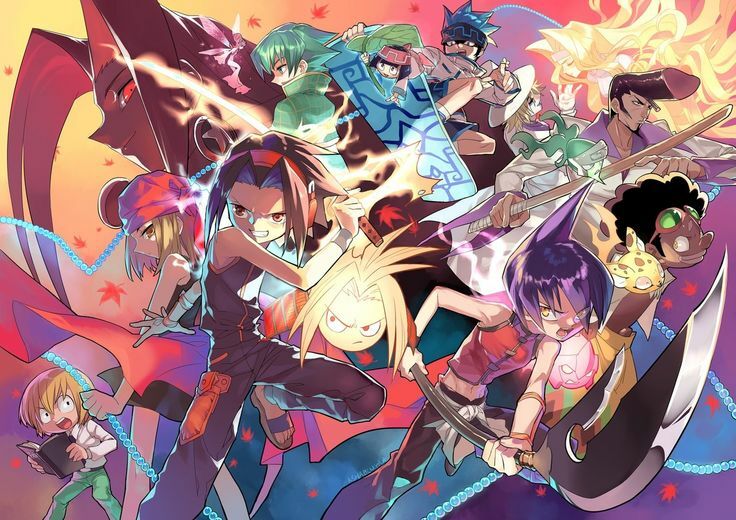 The winner becomes the Shaman King and gains command of the Great Spirit. Shaman King follows the story of the carefree You Asakura and his spirit Amidamaru. While not always central to the overall plot, Shaman King does have several arcs that feature the conflict between Yoh and his brother Hao. One brother is relatively upbeat and overly chill and the other chill and cruel, similar to the personalities of Vash and Knives. However, unlike the more mature Trigun, Shaman King is more your traditional shounen style show. After World War I, monstrous demons began to overrun the world. To combat this menace, the Order of Magdalene was establish from the Catholic Church. 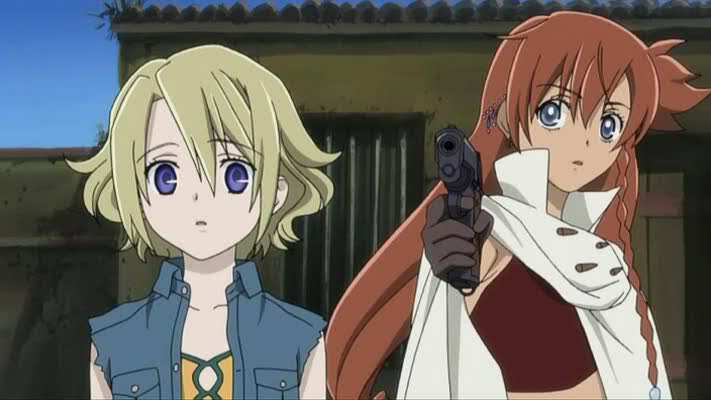 This is the story of reckless Sister Rosette Christopher and her demon hunting partner Chrono, who is himself a demon. One of the primary antagonists of Chrono Crusade is Chrono’s brother Aion who is a less good sort of demon. In both shows you have this sort of good versus evil relationship between the siblings and you watch them outright fight each other. Furthermore, both of these shows are older and keep that nice balance between comedy and action that older anime series typically excelled in. Do you have any more anime recommendations for the beloved classic that is Trigun? Let us know in the comments section below.